Welcome to Student Landlord, your No.1 platform for student accommodation rental advice, information and services. Find student tenants for your properties with our user-friendly studentpad websites for student housing. Use the efficient property management tools to save yourself time and resources. You can upload property information with a click, store documents and opt to automatically receive up-to-date viewing data and safety certificate renewal notifications. We currently serve over 100 higher education institutions throughout the UK and Ireland, and we're increasing year on year. Whether you are looking to rent private student houses or you're looking for a student lodger, you’ll find it on your local Studentpad site. Click below to find the institution or area you are looking for, visit your local Studentpad site and then access their landlord area using the 'Agent /Landlord' button at the top of the site to find out more. 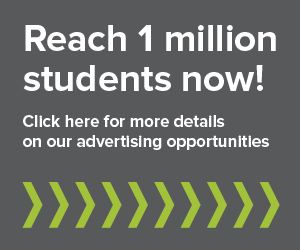 Get the latest news, updates, helpful guides, and insights about advertising & managing student accommodation from the student landlord blog.